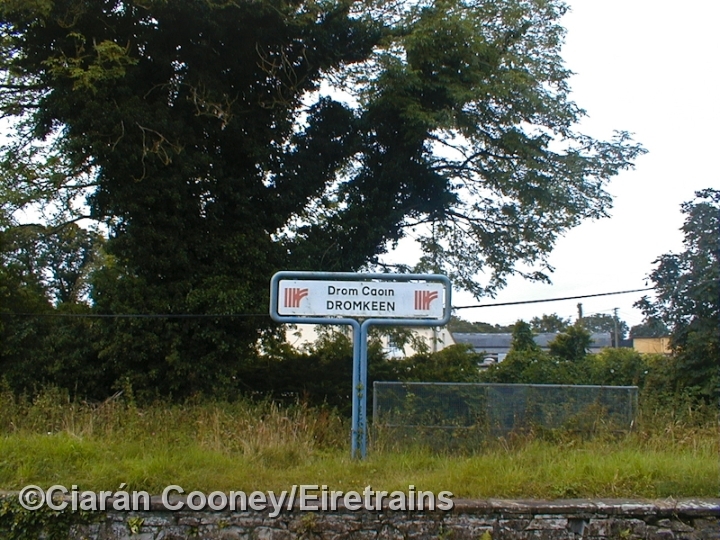 Dromkeen, Co.Limerick, is located roughly half way on the Limerick to Limerick Junction line, which was opened by the Waterford and Limerick Railway in 1848. The station at Dromkeen opened a few years later in February 1851, however it closed to passengers in 1976. The signal cabin however remained in use to control the loop until 1986, after which Centralised Traffic Control signalling was introduced on the Limerick line. 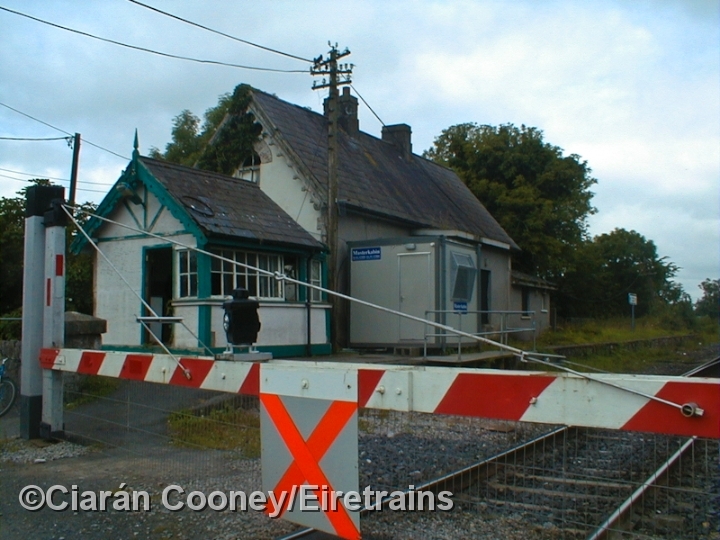 The signal cabin survived as a gate box until it was replaced by a portacabin in recent years and the loop has now been placed beyond the level crossing at the Limerick end of the station. Prior to 1929, it was double track all the way from Limerick to Limerick Junction, but was singled by the Great Southern Railway. Dromkeen was one of the smaller stations on the line, and today retains both its disused up & down platforms, one of which strangely has a 1980s CIE style name board, despite closure in the late 1970s.